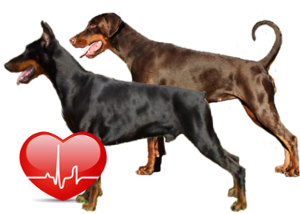 Make an appointment with your vet and let him take an EDTA blood sample of your Doberman. 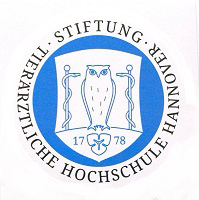 Send the blood sample to the Institute for Animal Breeding and Genetics at the TiHo Hannover. If existing, please also add a copy of your dobermans pedigree as well as copies of any screening documents. The DNA of your dog(s) will be analyzed . Afterwards, the owner – that means, you- will be informed about the results of the DNA-analysis and about possible findings that indicate gene defects like HD or ED, which this dog could pass to its descendant. You will definitely be kept informed! The long-term goal is of course the development of a gene test to identify characteristic gene patterns for DCM already in pups. Furthermore, this test should be able to tell, if the descendants of two dog have the potential to develop DCM, if their genetic patterns are of high similarity. It is a big goal, which can only be reached with as many Doberman owners as possible participating in this project. As already mentioned in the form your private data will not be contracted out. That also means, that we will not be given any information about the test results of your dogs. To give some more transparency, some of the participants voluntaired to make the results of their dogs public on this page, as soon as the analysis are completed and the results available. Click HERE to get to the official site of the TiHo Hannover.